Geometry Dash is a side-scrolling running game that challenges you to finish each level by going over obstacles and using musical cues to help you time your moves. 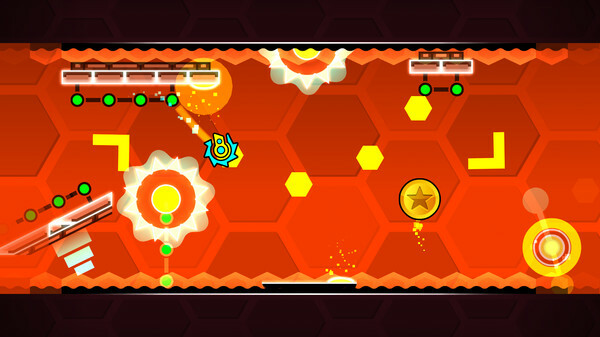 The game was initially developed for mobile devices and later made available on Windows a well. 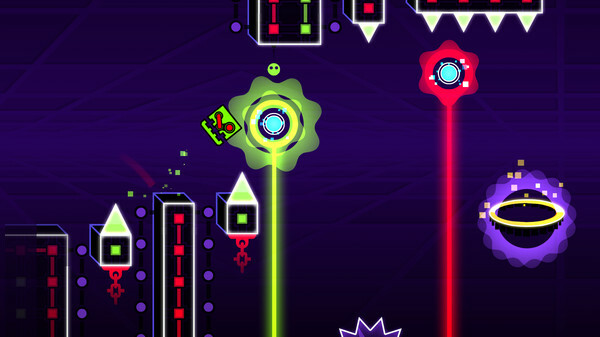 If you enjoy challenging rhythm-based games, you will also love everything that this title has to offer. The game lets you customize your character from the start to get a more unique appearance. You will then be put through various obstacle courses where you have to jump through an increasingly complex maze of spikes and other objects in your way. 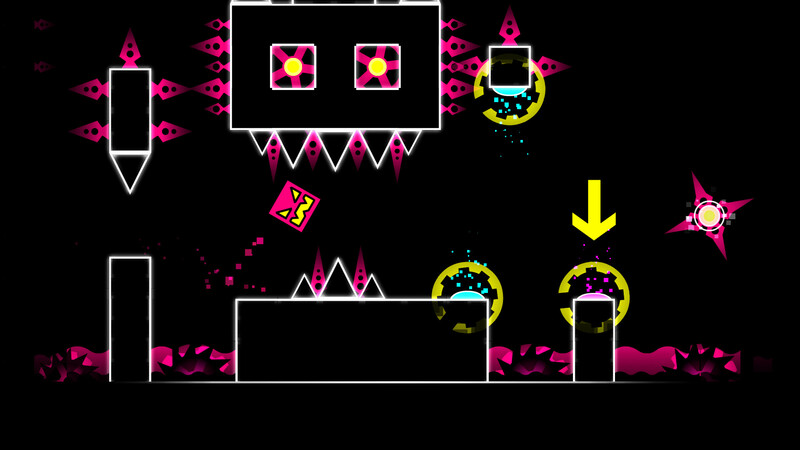 If you hit an obstacle, your character dies and you have to start the level over from the beginning. 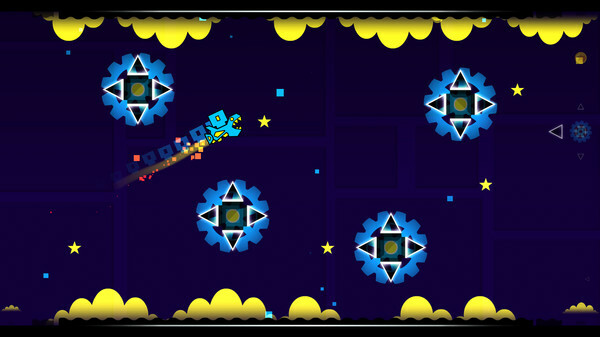 The fast-paced gameplay and placement of the obstacles has led some players to complain that the game is very difficult and takes a long time to get used to. On the other hand, those who crave action and want a game that actually requires some skill and effort to beat won't have much of an issue with its difficulty. 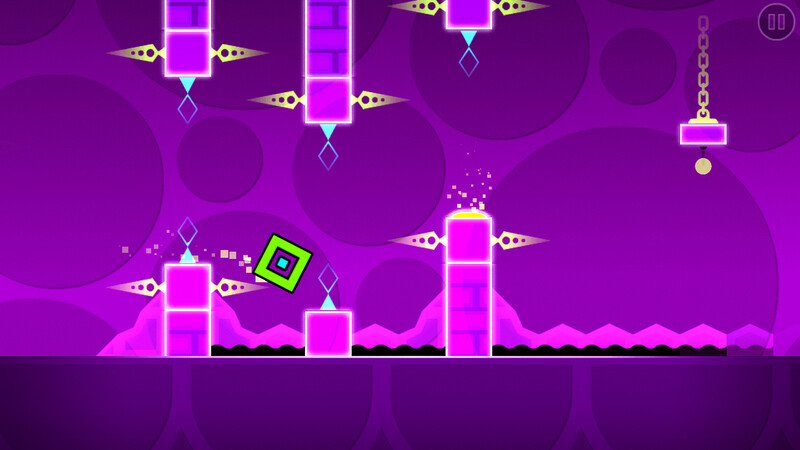 To help new players, Geometry Dash has several practice levels that show how the game works and how to achieve various objectives. 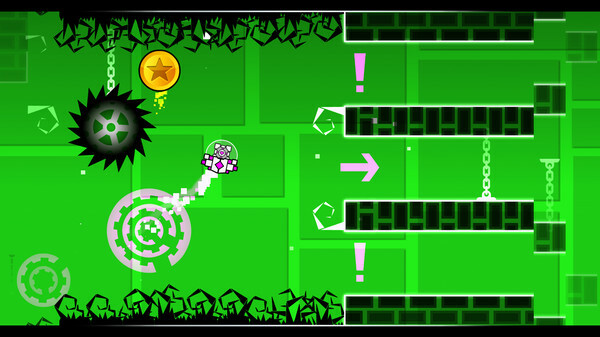 The controls are very simple, you just press the "A" button to make your character jump. The game comes with 21 official levels and 18 of those are accessible right from the beginning. 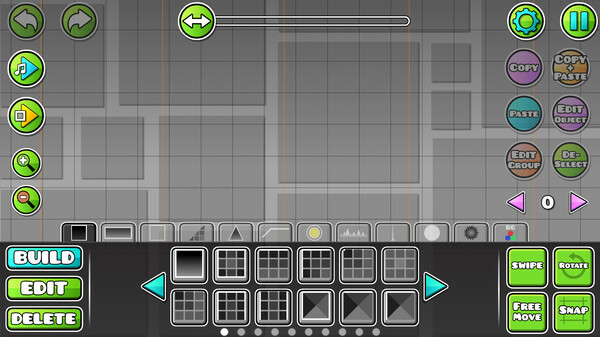 There's also a built-in level editor in Geometry Dash, allowing players to create and share custom level designs, of which thousands are available online. Highly challenging and fast gameplay. 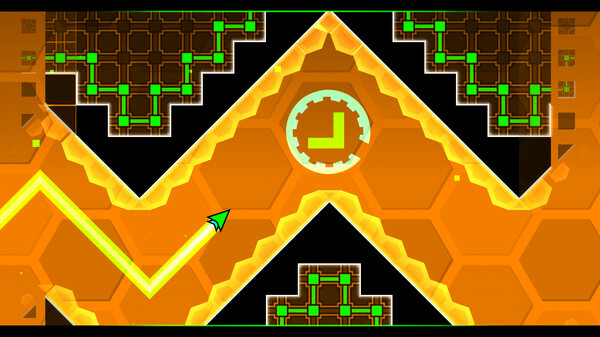 Nearly all levels accessible from the start. Thousands of additional level designs made by fans available for free download. Doesn't require payment to unlock more levels or game functions. 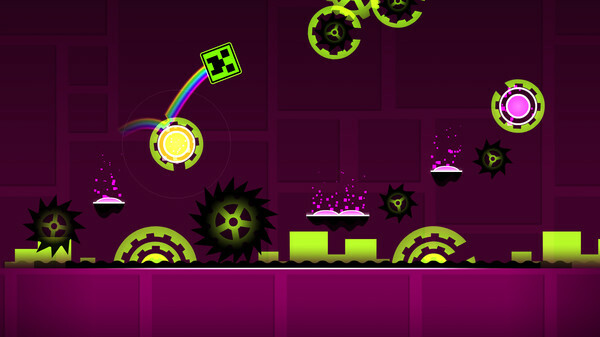 Some players may find the game too fast and difficult for their tastes.